The visibility solution’s intelligent and progressively adaptable algorithms have been developed with built-in Search Engine Optimization tools to help you reach an organic positioning advantage like you have never experienced before. The integrated SEO Assistant supports you in creating the perfect drafting of your optimized content which, in turn, becomes indexed. This drives your positioning performance and guarantees you the automatic increment of Keywords. Our Web Applications create the most compelling website tree architecture and all dynamic elements are easily framed. Your award-winning website follows a semantic – or semasiology – methodology thus it rewards the content in direct co-relation with the number of pages created. The platform automatically optimizes by default in perpetuity. The application equally enables you to manage your graphical features in parallel and with simple style sheets, whilst the SEO Editor Tool enhances your content. Its potential capacity can better be appreciated with a real demonstration – contact our Team to schedule your Online Experience at a time of your convenience. 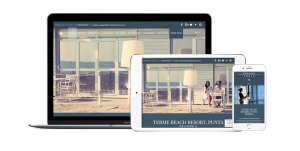 XENIA WEB modules are available for a single unit or a multi-properties Chain, Associations of Hoteliers and National and International Portals.